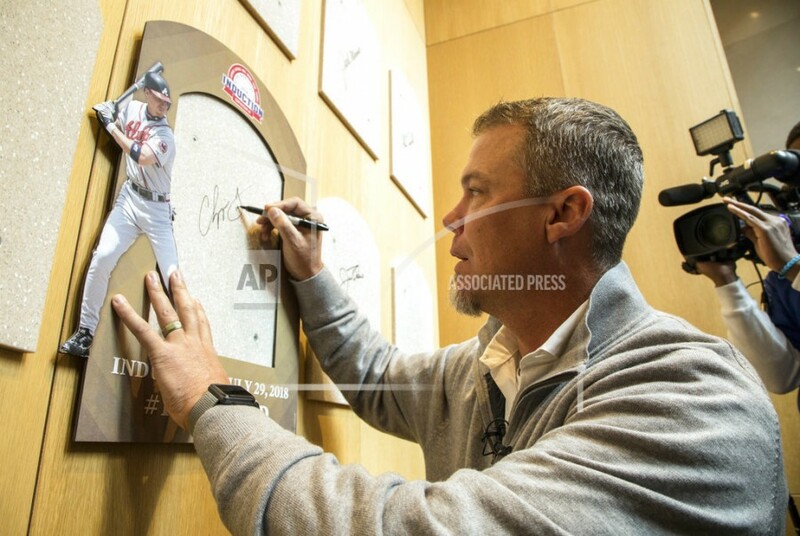 Hall of Fame inductee and former Atlanta Braves slugger Chipper Jones signs the spot where his Hall of Fame plaque will hang during an orientation tour of the National Baseball Hall of Fame in Cooperstown, N.Y., Tuesday, April 10, 2018. Jones toured the Hall of Fame to prepare for his induction this summer when he will be inducted along with Jim Thome, Vladimir Guerrero, Trevor Hoffman, Alan Trammel and Jack Morris. COOPERSTOWN, N.Y. (AP) — Chipper Jones quickly developed a case of goose bumps that lingered. With baseball history staring at him at every turn, it was understandable. The former Atlanta Braves slugger toured the Baseball Hall of Fame on Tuesday to prepare for his induction this summer, and he was awestruck by a moment he'll never forget. "Walking through these doors, it's really awe-inspiring," Jones said, sitting a few feet from where his Hall of Fame plaque will hang. "When I sat down on the bench in front of (a photo of) Babe Ruth and all those guys, I got misty. To be in the presence of greatness, it's kind of like walking down the tunnel in Yankee Stadium or Fenway Park. You can feel the aura and the ghosts." Jones became a first-ballot Hall of Famer in January, receiving 97.2 percent (410 of 422) of the vote to become one of just 54 players elected in their first year of eligibility by members of the Baseball Writers' Association of America. He'll be inducted July 29 with Jim Thome, Vladimir Guerrero, Trevor Hoffman, Alan Trammell and Jack Morris. Trammell and Morris, former teammates on the Detroit Tigers, were elected in December by a veterans committee. Jones, who batted .303 with 468 home runs and 1,623 RBIs, was an eight-time All-Star for the Braves and a big part of Atlanta teams that won 14 straight division titles. He joins former teammates Greg Maddux, Tom Glavine, and John Smoltz, manager Bobby Cox, and general manager John Schuerholz, all of whom were elected to the Hall of Fame in the past four years, a testament to their remarkable streak of success. 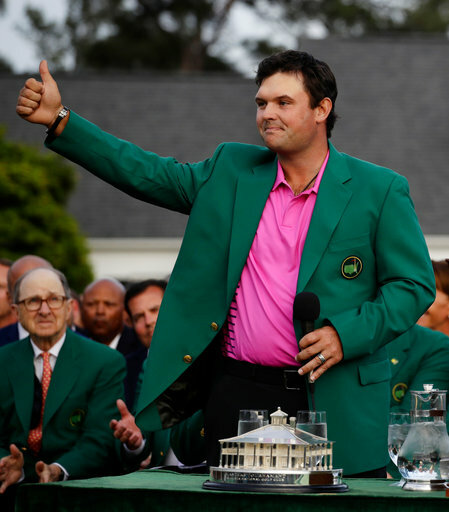 "It's a tremendous sense of pride in what we accomplished as an organization," Jones said. "With John Schuerholz going in, winning championships in two different leagues, Bobby Cox the only manager I would have ever wanted to play for, it's pretty cool to think of in terms of one organization. I played a little past those guys, but it's nice to finally join them in this hallowed fraternity." That Jones, just the eighth third baseman voted in by the writers, stopped first at the plaque of former New York Yankees slugger Mickey Mantle on the final leg of his tour was not surprising. They are among just 13 switch-hitting players (not including pitchers) in the Hall of Fame. Mantle holds the World Series home run record of 18, part of the inscription on his plaque and a figure likely to endure for a long time. "Eighteen. Wow!" Jones said. "This gives me goose bumps." Only a few steps away was the next stop — Hank Aaron, the greatest Braves player of all. "Hank has been a tremendous, tremendous ambassador, not just for the Atlanta Braves organization but baseball in general," Jones said. "He broke barriers. He inspired everyone. White. Black. Latin. Didn't matter. I am so proud that he's an Atlanta Brave." Jones retired in 2012 after 19 seasons with the Braves, and of the four electees voted in this year by the writers he's the only one to have played on a World Series champion — Atlanta won the title in 1995. The disappointment of the next year still haunts him, when the Braves took a 2-0 lead against the Yankees, then lost four straight. 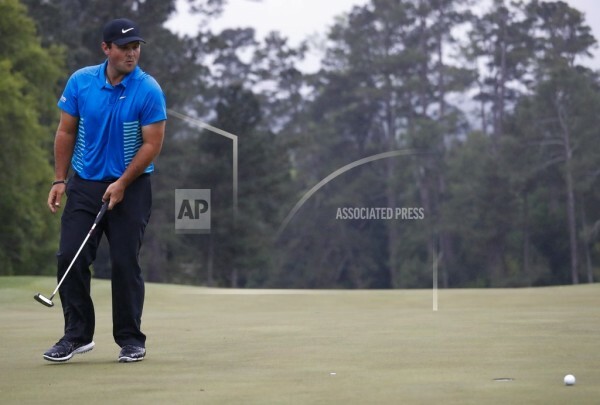 "It's the one that really kind of gets up under my side a little bit," Jones said. "It's disappointing that you get swept in your home ballpark by a team that we thought we were better than. Every other year after that, kind of looking back objectively, I think we ran into a team that was playing better than us at that particular time of year and we just got beat." When he retired, Jones said he was looking forward to spending more time with his kids, and another child is on the way. He and wife Taylor picked Cooper as the boy's name, and the due date is the day after the induction ceremony, so their first stop upon arriving in Cooperstown was the local hospital, just in case. "We know where we're going if something happens," Jones said, smiling. "Hopefully, he waits until we get back home, but it certainly would be apropos if she had him here, wouldn't it?"